Psychology Specialists in Bloomington offers psychotherapy with a Licensed Psychologist who has clinical expertise in individual therapy, couples therapy, and family therapy. Dr. Blair Brown is a licensed clinical psychologist providing therapeutic and psychological testing services for children, adolescents, and adults. She sees clients individually, as part of a couple, or as a family. Dr. Brown received her doctoral degree from the Illinois School of Professional Psychology in Chicago, IL and completed her internship and post-doctoral fellowship at Streamwood Behavioral Health Hospital. There, she received training in play therapy, collaborative problem solving, dialectical behavioral therapy, crisis management, and applied behavior analysis. Simultaneously, she completed a fellowship in psychoanalysis. Dr. Brown has worked in outpatient, inpatient, school, community, and camp settings. Areas of interest for Dr. Brown include depression, anxiety, women’s issues, LGBTQIA/Kink, parenting challenges, eating disorders, autism spectrum disorders, divorce, adoption or attachment related concerns, emotional trauma, and grief or loss. Her multifaceted treatment approach includes dialectical behavioral therapy (DBT) in combination with client-centered, psychodynamic (interpersonal), and family systems strategies. To facilitate the diagnostic process and to inform treatment, Dr. Brown also conducts a range of psychological testing that allows her to examine personality structures, behavioral patterns, learning difficulties, and intellectual capacities. In her professional practice, Dr. Brown believes that developing a solid foundation of trust, empathy, and understanding is the primary catalyst for beginning the process of change. Together, you will examine your history, thought patterns, and ways of relating to others. Through a balance of humor and solemnity, validation and challenge, those small changes will build larger, more lasting changes. Sarah Cain is a Licensed Clinical Social Worker with a Master’s degree from the University of Illinois at Urbana-Champaign. She has several years of experience providing mental health services, primarily with youth and families throughout central Illinois. Sarah has had experience working at a residential treatment center for youth, as well as experience with a non-profit agency specializing in counseling for children and families impacted by sexual abuse. In her time with the non-profit agency, Sarah served as a clinical supervisor for other clinical staff and also as the therapist and director for a program which provided intensive outpatient counseling to at-risk youth on probation, and their families. Sarah has provided comprehensive assessment and counseling with children and youth aged 3 to 18 who have been impacted by trauma. She has experience providing individual, group, and family counseling to diverse populations. In addition to her experience working with youth impacted by trauma, abuse, behavior problems, and those at-risk, Sarah can provide therapeutic services to individuals of all ages impacted by anxiety, depression, grief, and a number of other concerns. She often pulls from the therapeutic models of EMDR, Cognitive Behavioral Therapy, and Dialectical Behavioral Therapy, but overall takes an eclectic approach to therapy. Sarah strongly values confidentiality and the client’s right to self-determination. Dr. Cheryl Carter is a Licensed Clinical Psychologist with a specialization in neuropsychology, providing assessment services for children, adolescents, and adults. She received both her Master's and Doctoral Degrees from Adler University (formerly, The Adler School of Professional Psychology) in Chicago, Illinois. She completed her pre-doctoral APA-accredited internship and post-doctoral fellowship at the Colorado Mental Health Institute at Fort Logan in Denver, Colorado. Her clinical experience has included providing individual, group, and assessment services in a variety of settings, including psychiatric hospitals, group homes, homeless shelters, community mental health clinics, and private practice. She specializes in providing neuropsychological assessment for individuals with histories of traumatic head injuries, Dementia, substance abuse, trauma, psychosis, intellectual disabilities, and learning disabilities. In addition to specializing in neuropsychological assessment, Dr. Carter has experience working with individuals with a range of concerns including mood disorders, chronic impulsivity, developmental disorders, school issues, and concerns specific to women. Dr. Carter often pulls from Cognitive-Behavioral Therapy and Humanistic concepts to provide the best care to the individuals she is working with. Dr. Phillip Foster is a licensed clinical psychologist who graduated from Illinois State University in Normal, Illinois. For 11 years, Dr. Foster also taught psychology courses at Lincoln Christian College and served as the chair of the undergraduate psychology program. Dr. Foster is a Christian Psychologist with over 30 years of experience in counseling, consulting and training. His practice has included working with individuals, couples, and families in churches; parachurch organizations; and private, public, and non-profit settings. Dr. Foster is particularly passionate about aiding leaders in Christian ministry when they and their families have a need for healing, restoration, and renewal; counseling for ministers is one of his primary areas of focus. Dr. Foster specializes in treatment for anger and conflict management, anxiety, stress-related disorders, depression, marital infidelity, sexual and other process addictions, men's issues, adjustment to changes in health, grief and loss, as well as helping individuals navigate through spiritual concerns. Additionally, he offers psychological evaluations, personality assessments, and spiritual and professional mentoring. Dr. Seth Hatlelid is a Licensed Clinical Psychologist and is certified in general biofeedback by the Biofeedback Certification Institute of America. Healthcare professionals who achieve BCIA Certification demonstrate Commitment to professionalism by completing basic degree and education requirements, learning to apply clinical biofeedback skills during mentorship, and passing a written examination. Dr. Hatlelid received his master's and doctorate degrees in Clinical Psychology from the Forest Institute of Professional Psychology. He completed his post-doctoral training at Twin Cities Behavioral Health. Dr. Hatlelid has experience working with adults, adolescents, and families in regards to depression, anxiety, pain, relationship issues, and sexual problems and is LGBTQ aware. He has five years of experience in co-facilitating groups for the treatment of domestic violence and psychosexual dysfunctions. Dr. Hatlelid believes that therapy should be a collaborative process in which the client and therapist work together to achieve the client's goals through the use of compassion, a sympathetic ear, homework and experience, and perhaps a sense of humor. Dr. Neil Jepson is a licensed clinical psychologist specializing in the psychological assessment and treatment of trauma, anxiety, stress, chronic pain, and health-related issues. Dr. Jepson began practicing in Vermont in 2004. He received his doctorate degree from The California School of Professional Psychology in 2008, and he became a Certified Clinical Trauma Professional in 2012. Dr. Jepson is a member of the American Psychological Association, Association for Contextual Behavioral Sciences, and the International Association of Trauma Professionals. 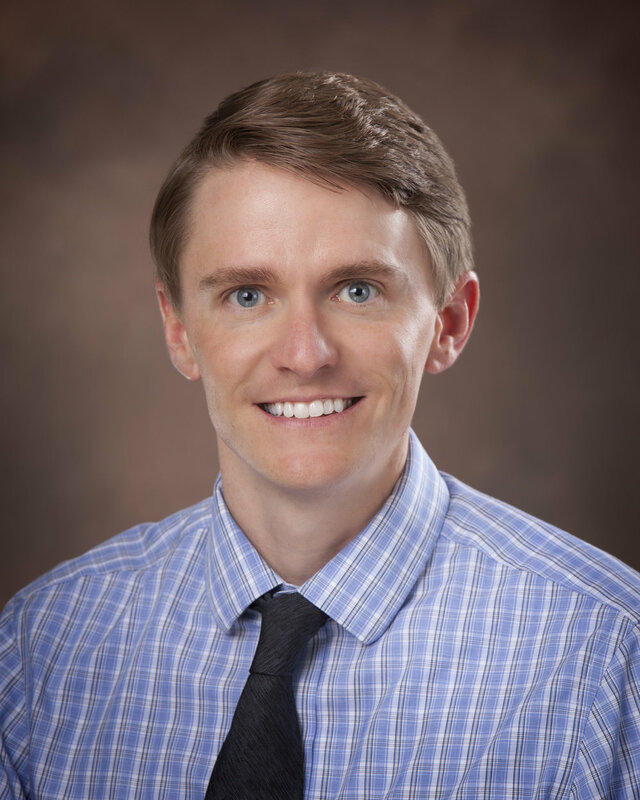 In his practice, Dr. Jepson uses a number of therapeutic modalities and techniques, including Acceptance and Commitment Therapy (ACT), Cognitive-Behavioral Therapy (CBT), and biofeedback. In treatment, Dr. Jepson focuses on the strengths and resources of the individual rather than symptoms. He believes the goal of treatment should be to achieve optimal functioning for each individual, and that treatment is most effective if psychological, biological, social, and spiritual needs are all addressed. Because his education and experience began in the area of exercise physiology, he has a deep appreciation for the relationship the brain has with the rest of the body and a recognition of the complexity of the systems at work in each of our experiences. Dr. Michael Kahwaji is a licensed Clinical Psychologist specializing in the psychological treatment of chronic pain and physical illness. Dr. Kahwaji received his doctorate degree from the Forest Institute of Professional Psychology and completed his Post-doctoral training at the Comprehensive Pain Management Center at the Henry Mayo Hospital in Valencia California. Dr. Kahwaji has been involved in the field of pain management for over 20 years and is a member of the American Psychological Association and the American Academy of Pain Management. His pain management specialties include migraine headaches, tension headaches, and fibromyalgia. Dr. Kelly Knutson is a licensed clinical psychologist. She earned her doctorate in psychology at the California School of Professional Psychology at Alliant International University in Fresno, California. Dr. Knutson specializes in the treatment of adolescents and families using evidence based treatment approaches, including Cognitive Behavioral Therapy and Dialectical Behavior Therapy. She emphasizes a client-centered and strengths-based approach in treating anxiety, depression, eating disorders, OCD, self-injurious behavior, and ADHD. She has conducted group treatment programs and currently offers individual, couple, and family therapies. Treatment for trauma and abuse are also particular areas of strength. Dr. Knutson is available to consult with attorneys, law enforcement agencies, and the courts for the purpose of lending her expertise in forensic and psychological evaluations. Jenny Madison is a Licensed Clinical Professional Counselor. Jenny graduated with a Bachelor’s degree in Psychology from University of Illinois and a Master’s degree in Agency and Community Counseling from Bradley. Since receiving her Master’s degree, Jenny has worked with runaway and homeless youth, has worked with all populations within a community mental health center, has been a program manager for a dual diagnosis program at a correctional facility, and most recently has been a Clinical Supervisor of Counseling at Center for Youth and Family Solutions. Jenny has experience in dealing with past and current trauma and how that relates to every day functioning. She is also experienced in working with those impacted by depression, anxiety, borderline personality, dual diagnosis, ADHD, Sensory Processing Disorders, abuse, suicidal thoughts, self-esteem concerns, relationship issues, adjustment to life stressors, anger, grief and loss, lifestyle changes, and parenting challenges. Jenny is comfortable working with children, adolescents, and adults, as well as families and couples. Jenny focuses on one’s strengths, building overall wellness and finding supports that are sustaining. Some of the treatment elements Jenny incorporates in her sessions are strength-based, System focused, Cognitive Behavioral, Mindfulness, Trauma Focused approaches, Motivational Interviewing, and DBT therapeutic techniques. Jenny is trained in Theraplay and Seeking Safety Curriculums, and is a credentialed Trauma Informed Therapist. Jenny also offers appointments on Saturday mornings to better accommodate the needs of some patients. Trisha Malott is a Licensed Clinical Social Worker. Trisha obtained both her undergraduate and graduate degrees from Illinois State University. She interned for a local non-profit organization as part of her educational experience, focusing on the adoption process, non-profit management, and the treatment of children and adolescents impacted by sexual abuse. Following her internship, she continued as staff for many years. Most recently, Trisha has worked for a medical school, specializing in severe and persistent mental illness, while also teaching psychotherapy to psychiatry residents. Trisha has a great deal of experience working with children, adolescents, and adults with a variety of presenting problems. Trisha has extensive training and background in the treatment of children and adolescents impacted by sexual abuse, as well as those struggling in the foster care system. Other areas of interest and experience include depression, anxiety, severe mental illness, adoption related concerns, emotional trauma, and sexual assault. Trisha uses an integrative therapeutic technique because she believes that therapy is unique to the individual. She believes that the technique(s) used should reflect the individual’s need(s), the situation or presenting problem, and be a reflection of the therapeutic alliance. Trisha's treatment approaches include cognitive-behavioral, solution-focused, psychodynamic, and supportive theories and models. Dr. Kenleigh McMinn is a Licensed Clinical Psychologist specializing in health psychology, women’s health, and trauma. She provides individual therapy to adolescents and adults, as well as pre-surgical psychological evaluations for patients undergoing spinal cord stimulator, bariatric, and transplant procedures. She earned her doctorate from the University of Texas Southwestern Medical Center in Dallas, TX and completed a fellowship in trauma psychology at Rush University Medical Center in Chicago, IL. Dr. McMinn has experience working with a wide range of medical and psychological diagnoses including depression, anxiety, pain, adjusting to illness or other life changes, relationship problems, bereavement, and more. As part of her specializations in women’s health and trauma, she has expertise in addressing concerns that are unique to women (e.g., issues with fertility, pregnancy, post-partum, sexual health, other gynecologic conditions) and individuals who are struggling to cope with any type of traumatic event. Dr. McMinn believes that the most important part of treatment is building a strong therapeutic relationship based on acceptance, trust, and often humor. From this foundation, Dr. McMinn works with patients to determine who they want to be and how best to get there. Therapy is interactive, collaborative, and goal-oriented, using evidence-based treatment approaches including Cognitive Behavioral Therapy, Acceptance and Commitment Therapy, and Dialectical Behavior Therapy. The objective is to leave each session feeling understood, supported, and with a sense of progress towards your goals. Dr. Aaron Poppy is a Licensed Clinical Psychologist who earned his Doctor of Psychology degree from The Wright Institute, a post-degree certificate in marriage and family therapy from Forest Institute of Professional Psychology, and a Master of Science degree in Clinical and Community Mental Health Psychology from Western Illinois University. Since 2007, he has been providing psychotherapy to children, adults, families, and couples, and psychological assessment to children and adults. He has worked in a variety of settings including community mental health centers, an inpatient hospital unit, an integrated medical/mental health outpatient clinic, a multicultural outreach center, a college counseling center, and a group practice. Dr. Poppy’s approach to psychotherapy develops client-centered foundations of empathy, acceptance, and support with clients to facilitate cognitive-behavioral and family systems therapies. His assessment interest areas include attention, mood, developmental disorders, and academic achievement. His interest areas for therapy include child behavior, eating disorders, depression, anxiety, trauma, life adjustment, and couple and family relationships. He welcomes opportunities to recognize and support diversity. Dr. Alexander P. Willett is a clinical neuropsychologist and a licensed clinical psychologist in the State of Illinois who completed his undergraduate degree from Illinois Wesleyan University and earned his Master's and Doctoral degrees from the Illinois School of Professional Psychology, Schaumburg Campus. His primary area of concentration is in clinical neuropsychology. Dr. Willett has experience providing assessment and therapeutic services to individuals across the lifespan. 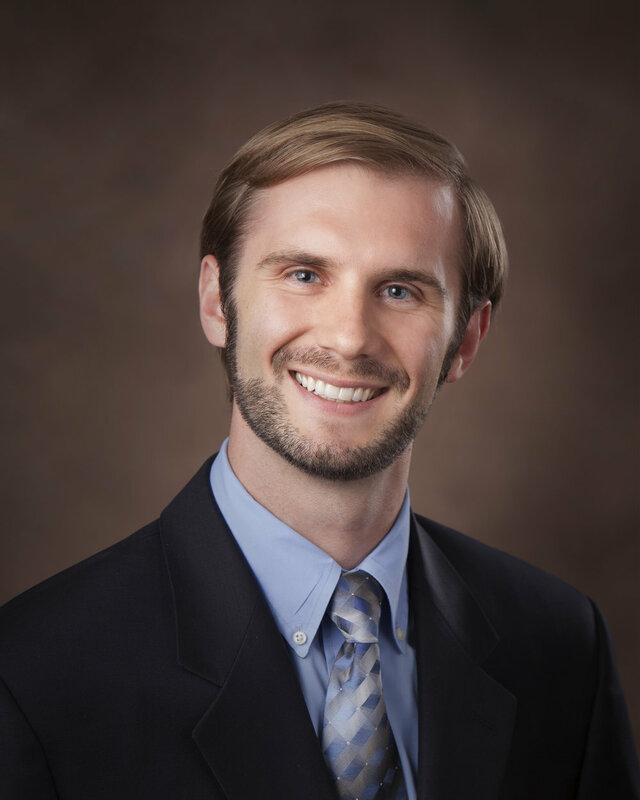 Dr. Willett completed his Pre-Doctoral internship at the Northwestern Suburban Internship Consortium at the Vanguard Eldercare Medical Group where he had extensive training working with dementia and the elderly population. He has clinical experience since 2008 and during his doctoral training he primarily worked with adolescents and young adults in a variety of treatment settings. Dr. Willett performs neuropsychological and psychological assessment for a variety of concerns and provides therapy using Cognitive Behavioral and Emotion Focused interventions, as appropriate. He also offers Faith-Based Christian Counseling when requested. He has interest and experience working with a variety of concerns such as adult ADHD/Attention Problems, Concussions and Traumatic Brain Injuries, Memory Problems such as Alzheimer's Disease and Dementia, Word-Finding/Aphasia Language Problems, Mood and Personality Disorders, Depression and Anxiety, Health and Sports Psychology, Weight Loss, Chronic Pain, and Christian Counseling. As a Neuropsychologist, Dr. Willett specializes in the relationship between the brain and behavior. He has extensive training in evaluating neuropsychological conditions that impact the brain, diagnosing these conditions, and creating a comprehensive treatment plan for the identified condition. Dr. Willett will look at the person holistically and assess psychological, biological, and social factors which may be contributing to the difficulties that are hindering the person's overall well-being. Once the diagnosis or challenges have been identified, Dr. Willett will provide a variety of recommendations to enable the person to improve their life, navigate the challenges and barriers they face day-to-day, and function more efficiently in school, the working environment, the home, or in social settings. He values each person as an individual, and works closely with them to develop awareness, acceptance, and strategies for living a more balanced and rewarding life and enables them to grow beyond the difficulties they face.